The N.C. Chronicles. : Melissa Haris Perry could be gone from MSNBC...bout time. Melissa Haris Perry could be gone from MSNBC...bout time. 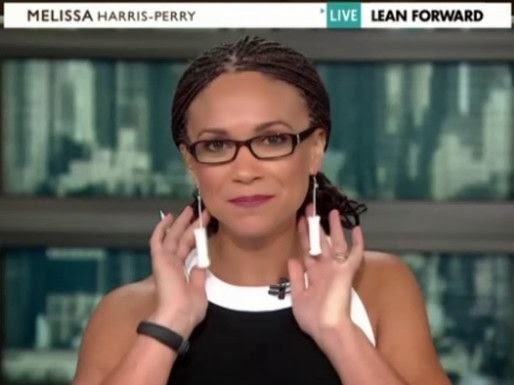 Tampon earrings wearing, your kids belong to the state, m.h, perry is not happy she was pre-empted for the presidential election. “I will not be used as a tool for their purposes, I am not a token, mammy, or little brown bobble head." For a while I noticed that msnbc has turn to the center for now, been more even handed than fox. As strange as that sounds. I see many programs taking steps in this direction; also the near total revamping of the evening MSNBC lineup over the last year or so, and the ongoing disappearance of liberal voices. Even "my leg is tingly" chris mattews as been trying to go to the center in his show hardball. When it comes to rachel maddow, will she survive, if she stays where she is, I doubt it. As for m.h. perry, MSNBC owns the show and pays the salary, so her argument is null and void. We are in a presidential election year and she is not the only one that is getting pre-empted. 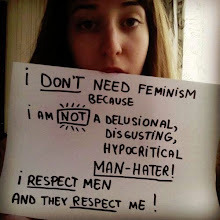 Not every little thing that happens to women and minorities, is a racism or sexism issue. As for Fox, they better be careful, their backing of anyone but Trump, could be their undoing, if they continue on a bias path. First they were pushing Jeb Bush, now it's rubio. Which if we go back 7 to 8 years, they are the ones who were pushing the idea that a first term senator was not experience enough to be president, yet now seem to be pushing a one time senator in rubio. Either way, left wing ideals have shown to be very destructive financially. Nations who have adopted left wing policies are bankrupt and personal wealth has gone down, salaries are stagnant and the price of food and products are up. Are some in the media noticing the fall and failure of the left, only time will tell, but it is refreshing, finally to see some are been realistic. We have our own msnbc in Canada, it's called the cbc.